- Employment is for 8 weeks. - 20 hours per week (15 hours per week on job site, 5 hours per week on improving employment and soft skills). - Students must be 14 by June 1. - Registration begins on April 1st, it is recommended that interested students register as soon as possible. * Prospective youth must be between ages 14 – 17 as of June 1, 2019. * Household income must not exceed 200% federal poverty guideline. 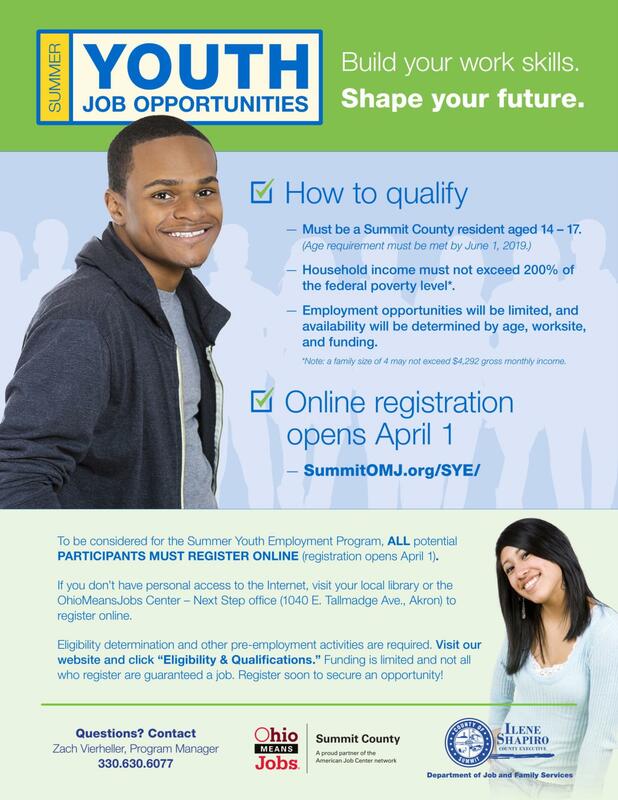 * Prospective youth must be a Summit County resident.